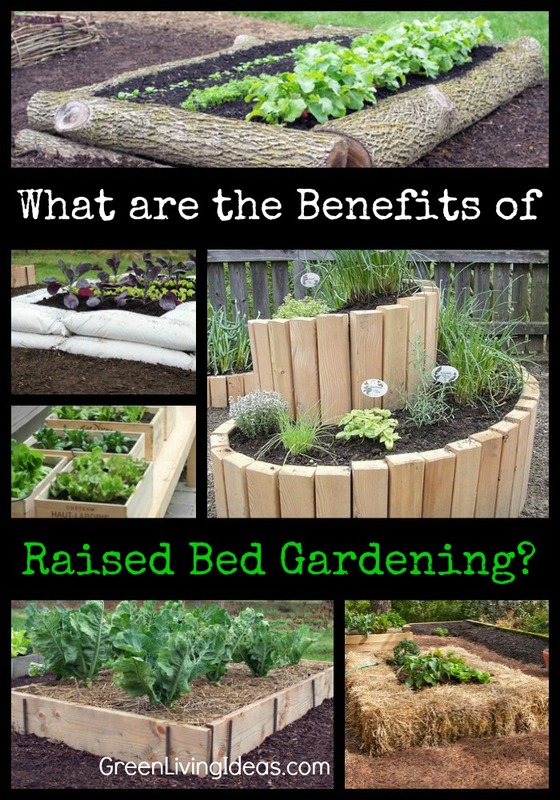 What are the Benefits of Raised Bed Gardening? If you want to grow your own food, but don’t have a yard to plant in, raised bed gardening might be the solution for you. In fact, even if you DO have a yard, the benefits of raised bed gardening are such that you might want to forgo the soil and build a bed anyway. Spring is right around the corner, and we’ve been daydreaming about all the possibilities of DIY raised bed garden options, but we’re also stoked to see that there are so many raised bed garden kits available for those who think gardening is enough of a project! Julie Day writes in her article about the benefits of raised bed gardening that, “Raised planting beds allow greater control over the quality of the soil. You can even bring in new soil or incorporate more nutritious organic matter to improve the growing conditions. Soil pH, texture, depth, and richness are all right at your fingertips with raised beds.” Learning how to compost and amend the soil naturally is a great skill to have, and with smaller spaces you can take advantage of small-batch amendments. Root Simple explains that one of the best benefits of raised bed gardening is that you can maintain better water levels, especially good in water-logged climates. Raised beds with bottoms will also drain excess water faster– but this can be good and bad. If the soil drains too quickly, you’ll need to build the soil to hold more moisture, but not so much that it makes the roots rot. Day also notes that the small space of raised bed gardens is a great way to maximize water usage, by using drip irrigation or a soaker hose. If it’s small enough you can even water by hand. 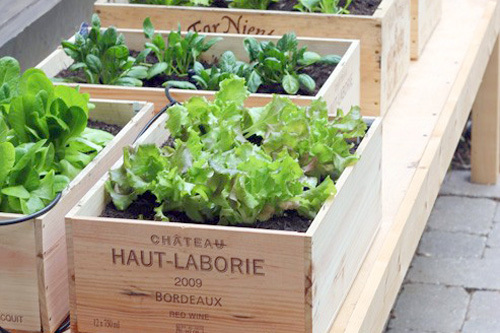 garden boxes made from wine boxes. Day writes that, “raised beds warm up faster in spring than the surrounding soil, which allows you to plant a little earlier. Likewise, in fall, they tend to stay warmer and produce longer.” Raised beds can be home to hoops and cloths to make it all-season (or at least longer seasons). This varies wildly depending on the method you choose for your raised bed. If you’re using wattle or logs, the insects and critters will still have full access to your sprouts and leaves. If you choose a raised bed that’s off the ground (like many of these raised bed garden kits) you will likely have reduced pest issues. As always, choose organic and natural pest control methods to ensure your family and fruits are safe. While a permaculture backyard might seem appealing, it also might seem messy. If you’re looking for a more organized solution, raised beds give you just what you need. 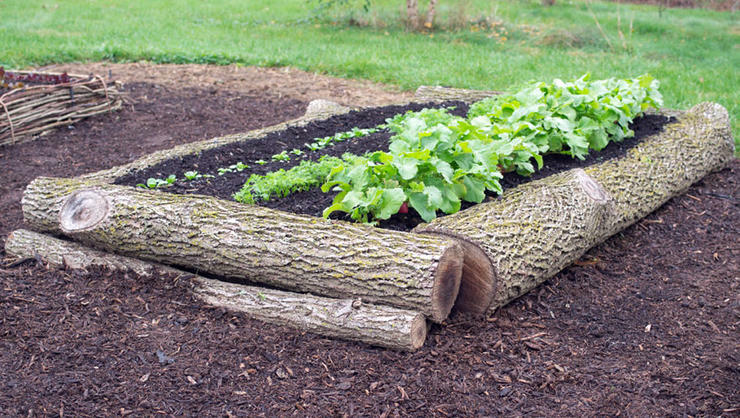 And with so many options, you can find a raised bed garden solution that fits into your yard perfectly, whether it’s logs, rocks, or even cinder blocks. Check out our post about ideas for raised bed gardening and find so many ways to make your garden uniquely gorgeous and organized. 8. More Ways to Grow! Whether you live in a high-rise, a walk-up, or a house with a huge yard, raised beds offer a wide variety of ways to think about growing food. Check out these great tutorials for keyhole gardening, Hugelkutur (mound gardening), square foot gardening, or start simple with some container gardening. 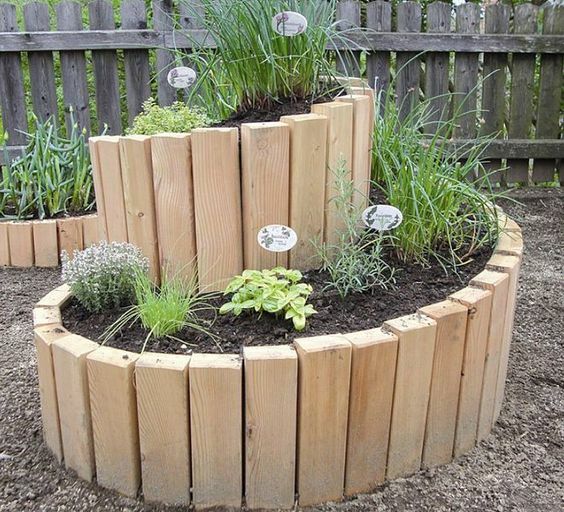 And don’t forget about vertical gardening, which maximizes your raised bed even further. Get started with this easy weekend project tutorial. Are there Cons to Raised Bed Gardening? Might need to buy soil–gardening in the ground is free. Roots dry out quicker in a hot climate. Lack of mineral content in bagged soils. Use of peat moss in bagged products. Unable to truly embrace the “no dig” philosophy: despite best efforts to the contrary, it seems the soil needs to be swapped out every few years. It’s container gardening, really.